Announced at UN Headquarters in New York during the UN Global Compact Leaders Summit 2018, these companies were identified as being among the most engaged participants of the world’s largest corporate sustainability initiative. 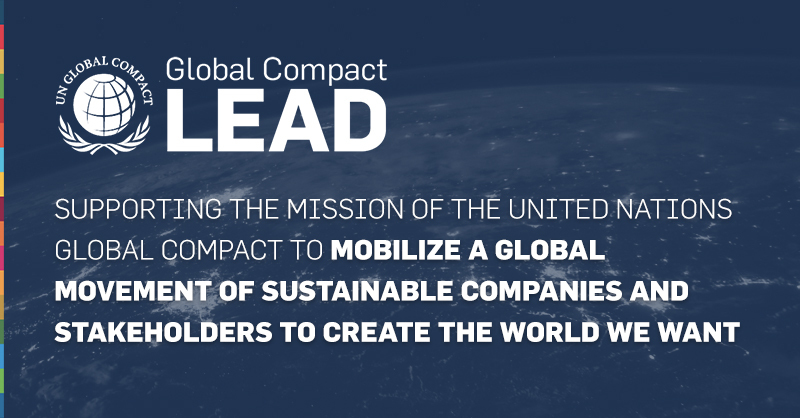 The 34 Global Compact LEAD companies recognized today represent every region of the world and 19 sectors. Be a Participant of the UN Global Compact and have committed to its Ten Principles.